Proven to build high-performance applications for multiple industry sectors, we develop across a range of major VR, AR and MR platforms including; HTC Vive, Oculus Rift, Apple ARKit, Google ARCore and more. 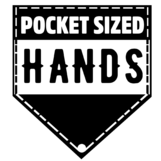 Pocket Sized Hands can create high-quality software that addresses all of your applications requirements. Have an idea or concept that you’d like to see come to life? We’re always looking for new projects, providing the knowledge and skills to make your virtual idea a reality. Pocket Sized Hands started out as a small group of friends at Abertay University, developing small VR games. Since then we have built up a core team comprising of award-winning programmers and celebrated artists who have been previously worked with companies such as Pixar, Disney, Square Enix and Capcom. 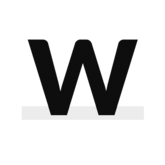 Now we work with brands and agencies worldwide who have access to one of the most creative teams in the digital workspace.